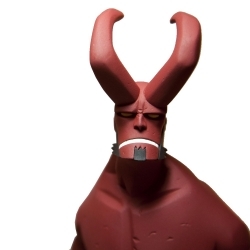 The french company Fariboles produces three-dimensional heroes of your favorite comics. 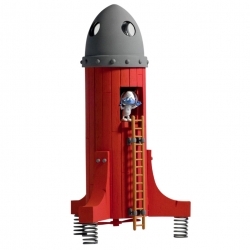 The company was founded in the suburbs of Rouen in 1993 by Pascal Rodier, a former bank executive who made the sculpture for fun. 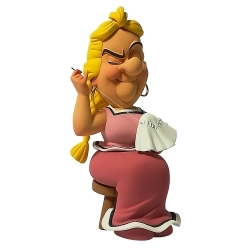 It is in this workshop of the city of Darnétal that are created each year more than 2.500 figurines premium resin. 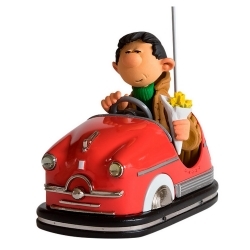 Whether the Effigy of Spirou, Tintin or the Smurfs, they are all the creations of Pascal Rodier. This Fariboles sculptor founded the company 20 years ago. 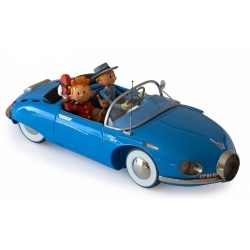 Collectible metal and resin car Fariboles Spirou and Fantasio and the Turbotraction. Limited edition and numbered 250 copies with certificate of authenticity. Length: 23,5cm (Scale 1/20). Statuette in resin, hand painted made in France by Fariboles. 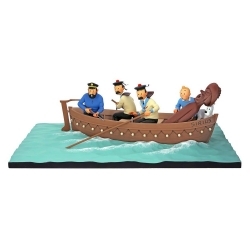 Tintin in the Sirius Jolly Boat with Haddock, Thomson and Thompson and Snowy. Limited edition and numbered 500 copies with certificate of authenticity. Dimensions: 51x28x17cm. 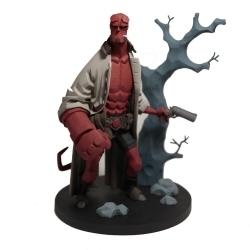 Hand painted resin statue Hellboy by Fariboles, 100% made in France. Limited edition and numbered 500 copies with certificate of authenticity. Height with the base: 22.5cm (1/8 scale). High quality resin figure from Fariboles Raiarox, hand painted. Limited edition and numbered 150 copies with certificate of authenticity. 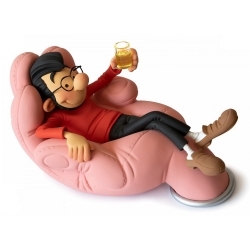 Gaston Lagaffe, Léon Prunelle in his chair. Height: 11cm. 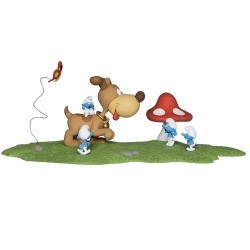 Resin scene by Puppy. Hand painted. 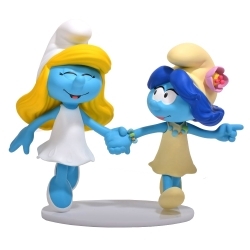 Smurfette and Smurf Blossom. Limited edition and numbered 200 copies with certificate of authenticity. 28cm. 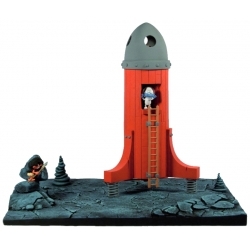 Resin scene sculpted by Pascal Rodier, Fariboles Hand painted resin scene 100% made in france. 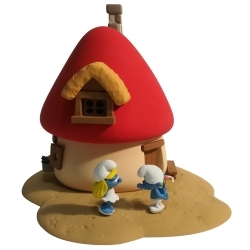 Smurfette House Fariboles with two figurines. Limited edition and numbered 300 copies with certificate of authenticity. 16,5cm. 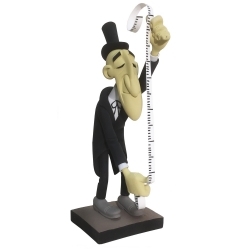 Hand painted resin Fariboles statue 100% made in france: Lucky Luke, The undertaker. Limited edition and numbered 350 copies with certificate of authenticity. Zantafio: high quality resin figure from Fariboles Raiarox, hand painted. 150 copies, accompanied by a numbered certificate. 23cm. 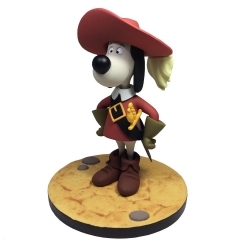 Collectible Figure Dogtanian and the Three Muskehounds by Fariboles. Limited edition and numbered 500 copies with certificate of authenticity. 15,5cm. 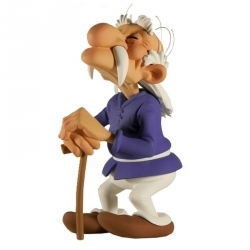 Resin statue sculpted by Pascal Rodier, Fariboles Hand painted resin scene 100% made in france. The Smurfs and the Howlibird. Limited edition and numbered 500 copies with certificate of authenticity. 15cm. 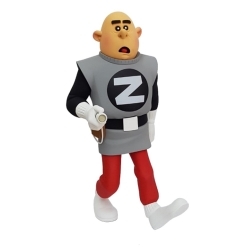 Collectible Figure Fariboles Spirou Zorglhomme. Hand painted resin statue, accompanied by his certificate. 100% made in france. Limited edition and numbered 75 copies with certificate of authenticity. 20cm. 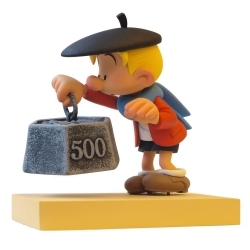 Resin statue sculpted by Pascal Rodier, Fariboles Hand painted resin scene 100% made in france. 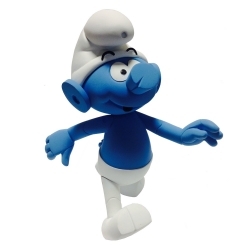 The Smurf Robot. Limited edition and numbered 99 copies with certificate of authenticity. Height: 13,5cm. Box Set including Book Games History (Volume 4). Resin statue made from a sculpture by Pascal Rodier. 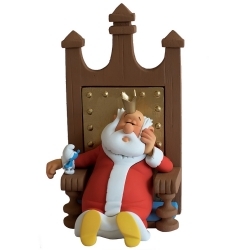 Molded, assembled and handpainted in Fariboles Productions Workshop (100% Made in France). 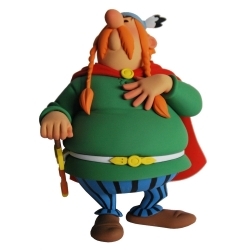 The chief of the village: Vitalstatistix. Limited edition and numbered 350 copies with certificate of authenticity. 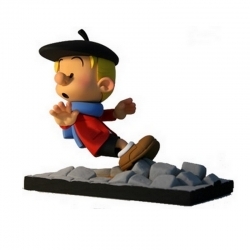 Resin statue sculpted by Pascal Rodier., Fariboles Hand painted resin scene 100% made in france. Puppy and the Smurfs. Limited edition and numbered 140 copies with certificate of authenticity. Dimensions: 30,5x16x8cm. 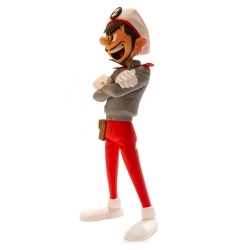 Collectible figure Fariboles Spirou and Fantasio: Spip the squirrel. Hand painted resin statue, accompanied by his certificate. 100% made in france. Limited edition and numbered 350 copies with certificate of authenticity. 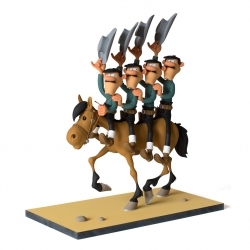 Hand painted resin statue accompanied by his certificate, 100% made in france by Fariboles: The Dalton on horseback. Limited edition and numbered 70 copies with certificate of authenticity. Dimensions: 17x30x37cm. 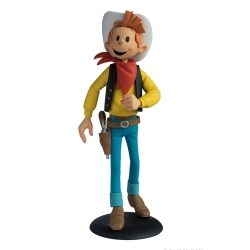 Fantasio Far-West Tribute to Lucky Luke. Hand painted resin statue, accompanied by his certificate. 100% made in france. Limited edition and numbered 200 copies with certificate of authenticity. Resin statue sculpted by Pascal Rodier. Hand painted resin statue accompanied by his certificate. 100% made in france. 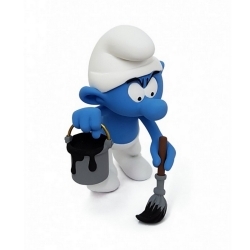 Oliver and the Finance Smurf. 15cm. Resin statue sculpted by Pascal Rodier. Hand painted resin statue accompanied by his certificate. 100% made in france. 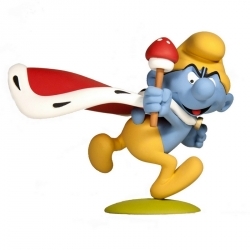 The Chatelain with Smurf. 18cm. Resin statue sculpted by Pascal Rodier. Hand painted resin statue accompanied by his certificate. 100% made in france. 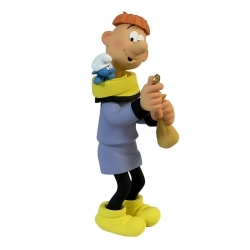 The Smurf from The North. 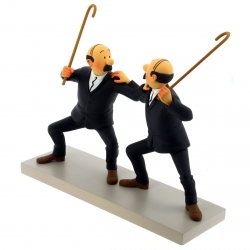 The Thom(p)sons figurine has just arrived to complete this special series of first-class collectibles. 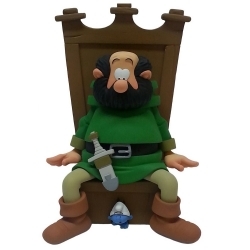 Handmade, this statue is about 20 cm tall and has been expertly crafted. Based on an illustration from Cigars of the Pharaoh, this collector's object is numbered and limited to 1500 copies. Resin statue sculpted by Pascal Rodier. Hand painted resin statue accompanied by his certificate. 100% made in france. 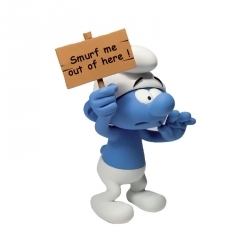 English version: Smurf me out of here ! 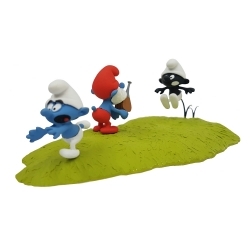 The Black Smurf Hunting: resin scene hand painted and sculpted by Pascal Rodier, Fariboles. Accompanied by his numbered certificate. 100% made in france. Limited edition of 500 copies. 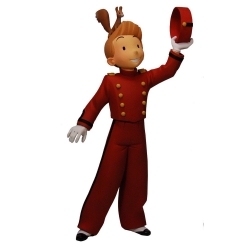 Spirou, the famous hero of the eponymous series is here shown with a red suit groom. High quality resin figure from Fariboles, hand painted. 500 copies. Accompanied by a certificate. 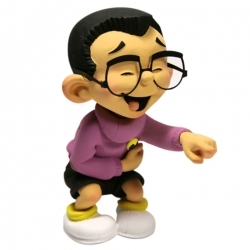 Height: 20cm. 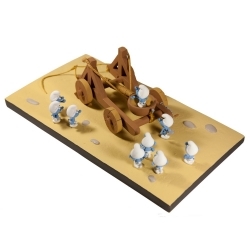 The Smurfs: The catapult: resin scene hand painted and sculpted by Pascal Rodier, Fariboles. Accompanied by his numbered certificate. 100% made in france. Limited edition of 350 copies. Mrs. Geriatrix: Resin statue made from a sculpture by Pascal Rodier.Molded, assembled and handpainted in Fariboles Productions Workshop (100% Made in France). 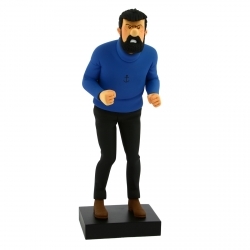 This fine sculpture of the The Captain Haddock is based on Hergé's drawings. 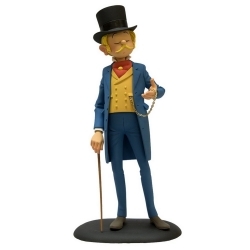 The hand-painted resin figurine is made in France at a highly reputed “atelier”, to a limited production run of 1500 copies. 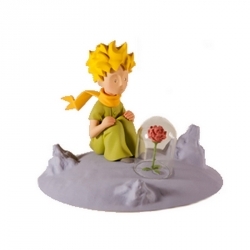 The Little Prince and the rose: resin statue made from a sculpture by Pascal Rodier. Molded, assembled and handpainted in Fariboles Productions Workshop (100% Made in France). Limited edition to 350 units. Geriatrix Resin statue made from a sculpture by Pascal Rodier.Molded, assembled and handpainted in Fariboles Productions Workshop (100% Made in France). 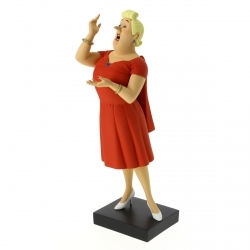 Bianca Castafiore joins this brand new (summer 2015) special collectible series of limited edition figurines. 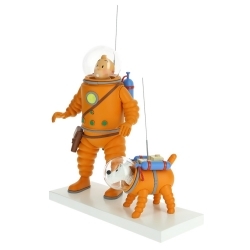 This fine sculpture is based on Hergé's drawings. 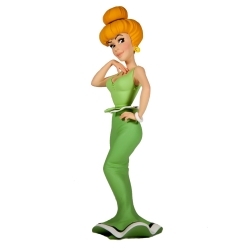 The hand-painted resin figurine is made in France at a highly reputed “atelier”, to a limited production run of 1500 copies. 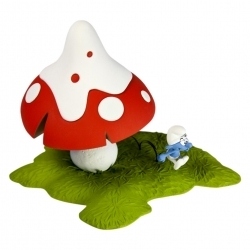 Decorative base with 27 smurfs sculpted by Pascal Rodier. Hand painted resin accompanied by his certificate. 100% made in france. 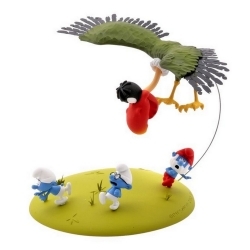 Johan and Pirlouit are not included, is only the base with the 27 smurfs. 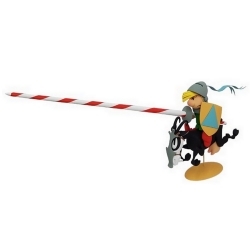 Vertignasse is the Little Spirou best friend. That means he is always doing the same silly things, but he is more often caught, and punished. Mr. Mégot the inept gym teacher. Hand painted resin statue, accompanied by his certificate. 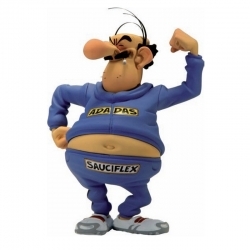 100% made in france. Edition limitée et numérotée à 500 exemplaires avec certificat d'authenticité.